A home near Galveston, Texas, is completely destroyed after Hurricane Ike. Tourist communities like Galveston face the need to recover both year-long and seasonal housing after disaster. ©Patrick McKay, 2008. A significant share of disaster-related losses and disruption is caused by housing damage and the resulting population relocation. In coastal communities with large tourist economies these losses affect both year-round households and seasonal housing markets. After disaster, when pressure on these different housing markets is often especially strong, reestablishing housing becomes essential to overall community recovery and to the economic, social, and psychological recovery of households. Despite this essential social and economic fact, certain housing types and housing markets in coastal communities are often overlooked in the disaster recovery process. This article explores what might be done to address this issue. Every year hurricanes pose a significant threat to communities along the U.S. Gulf and Atlantic Coasts. Yet, the coastal environments of these communities shape their economies by providing opportunities for tourist activities, as well as forming housing submarkets. Tourist-based coastal communities have a combination of traditional residential housing submarkets—including year-round owner-occupied and rental homes—as well as neighborhoods with high concentrations of seasonal homes. A seasonal housing submarket is a mix of second homes that are occasionally occupied and full-time vacation rentals and timeshares. Housing recovery work underway on the Bolivar Pennisula following Hurricane Ike. ©Patrick Feller, 2010. While seasonal rentals and second homes meet the demand of tourists, year-round affordable owner-occupied and rental homes often accommodate a local low wage labor force that is vital to a thriving tourist economy. Hence, bringing back seasonal homes as well as rental and affordable housing, is essential to recovery of both the residential sector and the local economy in these places. Nevertheless, research shows that both affordable year-round and seasonal housing recover more slowly than other residential types. Galveston, Texas, is a barrier Island with sizeable seasonal and year-round housing submarkets. After Hurricane Ike, the city’s owner-occupied, year-round homes—most of which are protected by a seawall—sustained less damage and were restored more quickly than vacation homes. Seasonal homes with higher levels of damage have very slow recovery trajectories that can hold back recovery of the local economy, as well. More severely damaged rental and owner-occupied, year-round housing in lower-income minority neighborhoods suffer more damages and lag in recovery behind owner-occupied homes in predominantly white middle-class neighborhoods. Housing recovery policy in the United States, because of its focus on single-family, owner-occupied housing and neglect of single- and multi-family rental housing, plays an important role in shaping these inequalities. Recovery of seasonal housing after disasters is driven by different decisions and resources than those of year-round homes. Unlike vacation rental or second home owners, year-round owner-occupants frequently have a range of potential resources for repairs and rebuilding—savings, insurance, low-interest Small Business Administration (SBA) loans, and assistance programs such as the Federal Emergency Management Agency minimum home repair and more recently U.S. Housing and Urban Development (HUD) Community Development Block Grant Disaster Recovery (CDBG-DR) funds. Furthermore, repairing or rebuilding of vacation homes often involves business decisions about expected earnings versus the costs of repair or reconstruction, factors that are rarely as influential for deciding whether to restore a year-round residence. Research has demonstrated the importance of planning for successful and equitable community recovery in general and for housing in particular. Recovery planning should account for the intricacies of coastal communities when planning for housing recovery. This includes planning for various housing submarkets, accounting for the decision-making tendencies of owners of different types of housing, and addressing the social vulnerability of residents. Research on tourist-based coastal communities provides four main takeaways for housing recovery planning. First, the significant impact of damage on recovery, particularly in the vacation markets where recovery resources are limited, further validates the need for coastal communities to reduce damage and enhance resilience. This can be achieved by strengthening building codes to ensure properties are properly elevated and improving free-board requirements. Second, to tackle the problem of rental housing recovery, local communities can take advantage of more flexible HUD CDBG-DR funding to establish funding mechanisms that might potentially address part of this issue. Third, recovery assistance programs for coastal communities with a large tourism sector should allocate a wider range of resources and financing options to support repairs and rebuilding for seasonal and second homes, particularly for seasonal housing with more severe damage. Fourth, recovery disparities across income levels and racial groups highlight the need for income-targeted housing recovery assistance for year-round residents in order to address the needs of lower income households. When we start taking these steps, we will have begun the long journey toward more resilient housing and economy in our coastal communities. 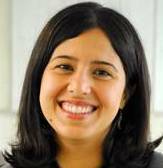 Sara Hamideh is an assistant professor of community and regional planning at Iowa State University. She studies housing recovery inequalities after disasters to identify resource needs and effective recovery policy levers. Hamideh is a co-investigator in Center of Excellence for Community Resilience at Colorado State University funded by National Institute of Standards and Technology (NIST). Hamideh, Sara. 2018. “Intricate and Uneven: Housing Recovery in Coastal Communities.” Research Counts 2(10). Boulder, CO: Natural Hazards Center, University of Colorado Boulder. https://hazards.colorado.edu/news/research-counts/intricate-and-uneven-housing-recovery-in-coastal-communities.